How to Access Another Computer Without Installing Any Program? If you want to remote control another computer, you can certainly install some professinal software, also you can try the Windows Remote Desktop application which is installed by default. You just need to know that computer’s IP address and have a user account set up on the machine. 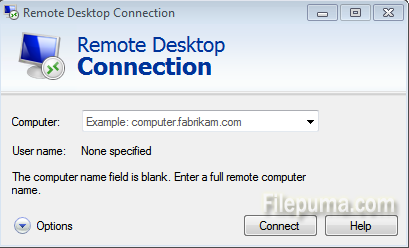 Step One: Click “Start” button and type “remote desktop connection” into the search box. Step Two: Press “Enter” and you will open the Remote Desktop client window. Enter the remote computer’s IP address. Step Three: Click the “Connect” button and type your user name and password. When finish setting, click “OK” to establish the connection.